Lenovo/Motorola officials took to the stage in New Delhi, India this morning to unveil the future of the Moto G range of smartphones. Rather than introducing a small and compact device that’s perfect for those who prefer to interact with their phone with one hand, Lenovo has instead lifted the covers off three new Moto G devices. Allow us to introduce you to the Moto G4 Plus, Moto G4, and the Moto G4 Play. 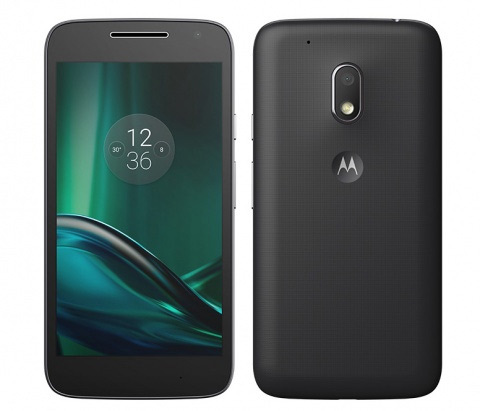 Lenovo’s Moto G4 and Moto G4 Plus feature 5.5-inch 1080p displays, while the Moto G4 Play is less powerful version of the two, with a 5-inch 720p display. 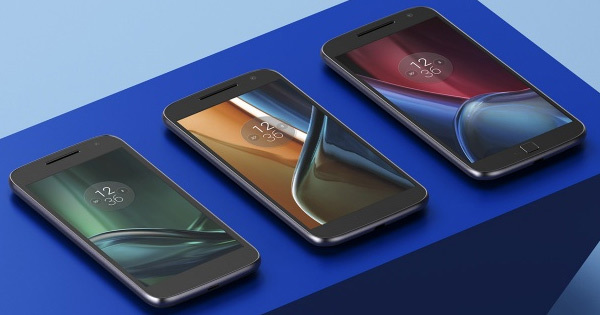 The 1080p crisp and clear panels represents the first time that the Moto G models have made the jump across to offering a full high-definition experience since the original Moto G was released three years ago. But how different are these three models from each other? Let’s break down the features and specs for each device. At the heart of the G4 Plus is a Qualcomm Snapdragon 617 processor. RAM on the device varies depending on the storage. The G4 is available in 16GB, 32GB, and 64GB with the RAM coming in at 2GB, 3GB, and 4GB respectively. Storage of course is expandable. It also features an integrated 3,000mAh battery with TurboPower support which should be capable of providing up to 6-hours of life from a single 15-minute charge. There’s 5-megapixel camera on front for those all important selfies, while a 16-magepixel camera with phase-detection autofocus adorns the rear of the phone. Unfortunately, there’s no 4K recording. As for the OS, you get an almost stock version of Android 6.0 Marshmallow. The Moto G4 Plus also lives up to the “Plus” name by offering biometric authentication through the integration of a fingerprint scanner on the front of the device. Lenovo is claiming that this particular sensor is capable of detecting a registered print and unlocking of the device in just 750 milliseconds. That estimated number is admittedly slightly slower than the fingerprint authentication on the Nexus 6P, but let’s be honest here, what’s a few milliseconds between friends? The device comes in Black and White colors. 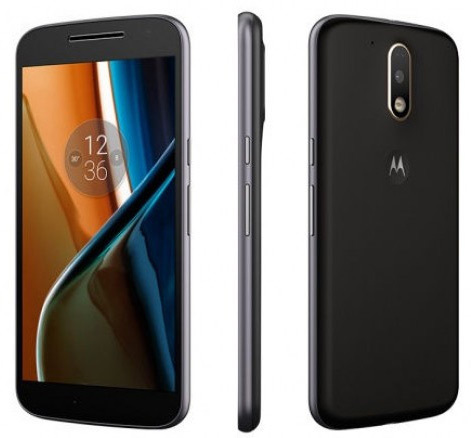 As mentioned earlier, Moto G4 Plus features 5.5-inch 1080p display. At the heart of the phone is the same Qualcomm Snapdragon 617 processor found in the G4 Plus, but with 2GB of RAM only. The G4 packs a 13MP rear-facing camera without the bells and whistles and can record videos at 1080p. There’s a 5MP selfie offering on the front as well. Power is provided by a 3,000mAh battery and is supported by TurboPower charging as well. Storage options come in at 16GB and 32GB with expandable memory. The OS of choice? Android 6.0 Marshmallow. The device comes in Black and White colors. Just like Moto G4 Plus, the Moto G4 also features 5.5-inch 1080p display. Solely intended for the US market, this particular phone ships with 5-inch 720p display as mentioned earlier, a Snapdragon 410 CPU coupled with 2GB of RAM. An 8MP rear-camera should provide decent shots, and for selfie purposes there is 5MP front-facing shooter. Storage comes in at 16GB (expandable) and a 2,800mAh battery provides the power. The device will be available in Black and White colors. 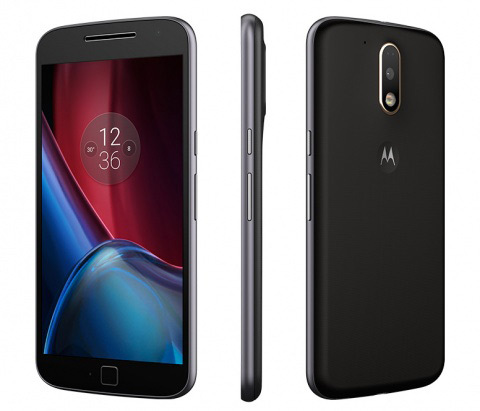 Lenovo is yet to announce any official pricing for the Moto G4, but will be making the G4 Plus exclusively available from Amazon India tonight, starting from Rs 13,499 for the 16GB base model (approx $200) and Rs 15,000 for the 32GB model (approx $225). The Moto G4 will be made available in the UK in June for £169, with the Moto G4 Plus following later in the month for £199. I think your the biggest idiot alive sachin, everyone who know anything about phones no that spec are not everything. Apple phones don’t need specs that high, because they can achieve better benchmarks with lower specs. Maybe understand how something works before ranting like an idiot! It’s the only thing he knows how to do well! Plus he is comparing a phone that’s been out for awhile to a phone that is just announced and hasn’t been released, let alone a phone running a different operating system. The best part of waking up, is trolling Sachin on every post! Sachin, you’re becoming famous. Or infamous. Have you noticed how many people are making profiles based off your image? That’s a lot of phone for the price. Should sell really well.